What is Reaching the Michigan Harvest? Reaching the Michigan Harvest is a member of the Michigan Network who has partnered together with others to become involved in the Great Commitment (prayer), to live out the Great Commandment (relationships), and to fulfill the Great Commission (evangelism and discipleship). 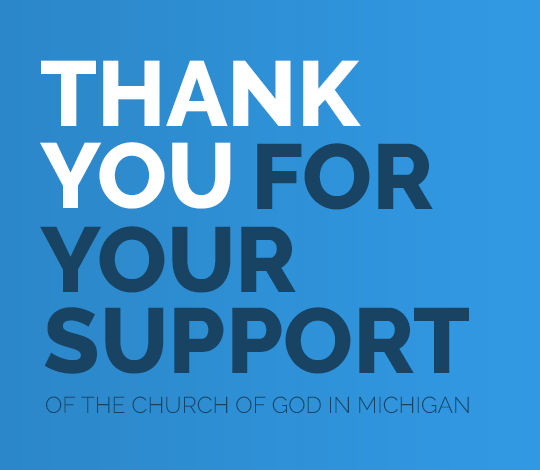 To provide a foundation of prayer support for the ministries of the Church of God in Michigan, the United States of America, and around the world. To help establish and support new church plants. To assist smaller existing churches who are struggling while striving to gain strength and to operate on a solid financial base. To equip pastors and ministers in Michigan to more effectively love and serve the Lord, develop biblical relationships, and win lost souls and make disciples for Christ. To underwrite and support State functions that will encourage, equip, and empower pastors, ministers, and laity to grow and mature spiritually.